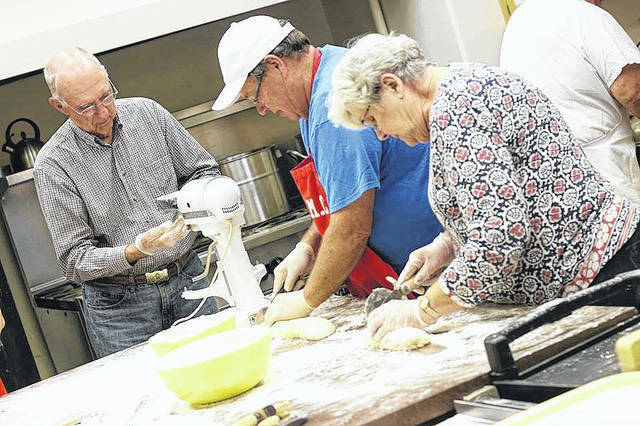 GALION — Christ United Methodist Church, 130 E. Walnut St., Galion will serve up its annual Beef and Noodle Dinner on Tuesday, Dec. 11 from 4:30 p.m. until 6 p.m. The menu will include beef and homemade noodles, mashed potatoes, green beans, applesauce, bread, and cake for dessert. Cost for the meal is $8 for adults, $5 for children between the ages of 7 and 12. Children younger than seven can eat for free. Carry-out is available. Proceeds from the dinner will go to support needy students of the Galion City Schools. The funds will assist students in the campus wear voucher program and the lunch assistance program. Additional donations will be accepted. Come and enjoy good food, good fellowship, and an opportunity to help Galion City School students who are in need of clothing and meal assistance. For more information, call the church office at 419-468-1504.